This three-day intensive tutor-led course includes exam preparation, and revision. It is fully-accredited by UKTB on behalf of ISTQB and has been rated SFIAplus level 3 by the BCS. Founded in 2002, ISTQB (International Software Testing Qualifications Board) is a not-for-profit association legally registered in Belgium, comprising 47 national boards (including the UKTB) covering 71 countries worldwide. 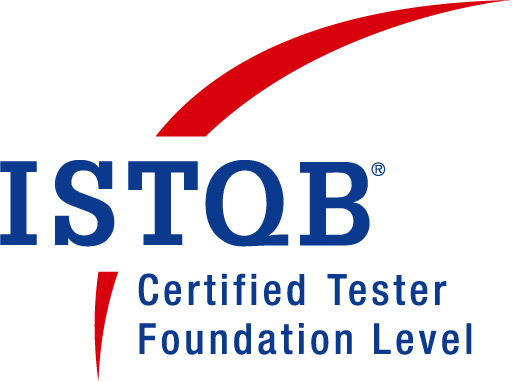 ISTQB has defined the Foundation certification as part of their ‘Certified Tester’ scheme that, with over 200,000 certifications, has become the de facto world-wide standard for software testing qualifications. On arrival at the course candidates should have read the provided Syllabus in preparation for the course. The course is intensive and those delegates who have prepared achieve a higher exam success rate. To get an ISTQB® Certified Tester Foundation Level Certificate you must successfully pass the Foundation Exam administered by Examination Provider. Upon successful completion of the exam, trainees will be issued with an ISTQB® Foundation Level Certificates, which is internationally recognized. The exam aims to verify that the candidate has acquired the professional knowledge contained in the syllabus. Every trainee will be granted a voucher for the ISTQB® Certified Tester Foundation Level (CTFL).